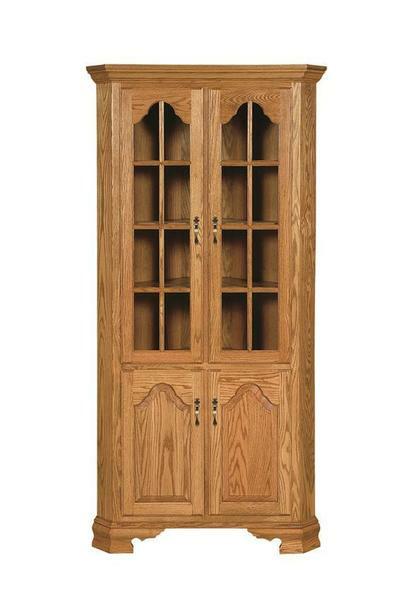 This stunning corner hutch is the perfect way to utilize your dining space when working with a smaller room. The corner hutch design fits snugly into any corner using up a very small amount of floor space, but providing you with a large amount of storage and display space. Your china plates, crystal stemware, and other valuable display items can be beautifully showcased on the three fixed shelves behind the top glass doors, while your everyday dining and household essentials can be stowed away inside the bottom cabinet doors with one shelf, offering a variety of storage options in very little dining space.